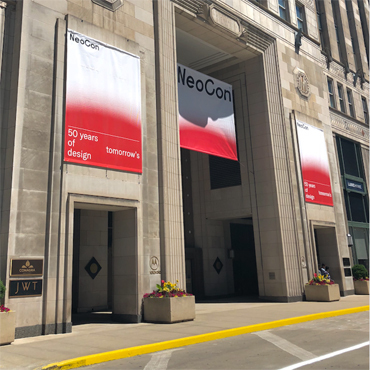 (Chicago, IL - April 2018) NeoCon, June 11-13, The Mart's premier annual exhibition, announces robust growth and activity as it moves into its 50th edition. 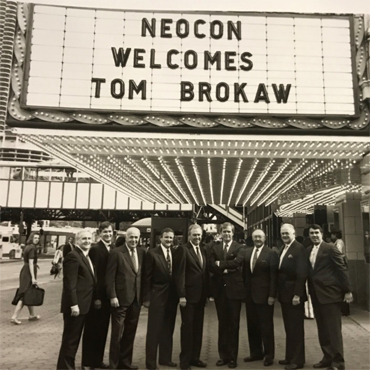 Held every June since 1969, NeoCon has become part of the heart and soul of the historic Mart building, accounting for nearly 1 million square feet of exhibition space. 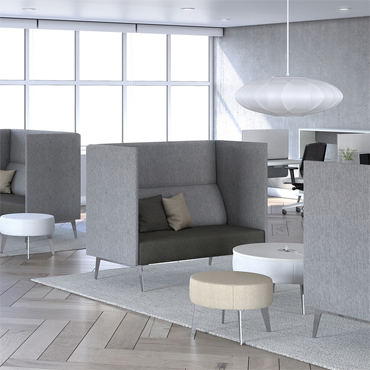 This spring, ten new permanent showrooms will make their debut at NeoCon 50 including: David Edward, Innovant, DARRAN, GMi Companies, LINAK, NappaTile, Segis USA, SurfaceWorks, Trinity Furniture, and Scandinavian Spaces spread across floors 3, 10 and 11. The Mart team worked closely with design professionals to improve traffic flow on the 10th floor and welcome several new brands from their wait list. Legacy showrooms such as Decca Contract, Steelcase, Groupe Lacasse, Indiana Furniture, Krug, Shaw Contract, Skyline Design, Studio TK, Workrite Ergonomics and ESI Ergonomic Solutions are partnering with some of the industry’s leading designers to create completely new and expanded spaces. The new developments continue into the 2018 7th Floor Exhibit Hall, where attendees will discover over 75 new-to-NeoCon brands. NeoCon is open to trade, media, C-Suite executives and other industry-related professionals. CEU seminars are $60 when registered online by June 8; onsite registration is $70. Marquee/Keynote presentations are free; registration is required. NeoCon press registration for credentialed media is available online at www.neocon.com.